Company Lamelli is the official dealer of the FinnLamelli plant in Russia. We honor and embody the traditions of Finnish professionals who believe that the glued beam is the best material for the construction of warm and durable houses. The founders of the company FinnLamelli took a direct part in the development of laminated veneer lumber in the city of Alajärvi. They set a goal to improve the production of glued beams, introduce new technologies and improve the quality of products. To this end, in 1995 FinnLamelli Oy was founded. FinnLamelli have the most advanced technologies in the woodworking industry. Employees of the company constantly improve the existing products and develop a new one. So there were external corners from glued beams and many other details. The highest quality of FinnLamelli glued timber is obtained thanks to the professionalism of employees and modern equipment. Correct organization of the design and production of the bar allows FinnLamelli to remain the leading manufacturer of timber houses. FinnLamelli pays special attention to the architecture and construction features of the countries to which the housekits are exported. So, houses for Russia organically look among colorful landscapes, and are also adapted for comfortable living in the harsh winter and hot summer. Tag video not supported by your browser. Typical, similar to each other, the house - it's so boring! If you want to stand out, forget about boredom and show everyone your character, then start with your own home. This will help you with individual design from the company Lamelli. We create projects of comfortable, comfortable and functional buildings that fully meet your wishes. Individual design allows you to realize your dreams of an ideal home. We consider all proposals in detail and improve them together with the client. You decide what will be the style of the building, layout, location of communications, size, shape, number of windows and doors. So, on your site an exclusive building will start to be built, which will reflect your personality and character. Sketch and working design: we build houses with mind! 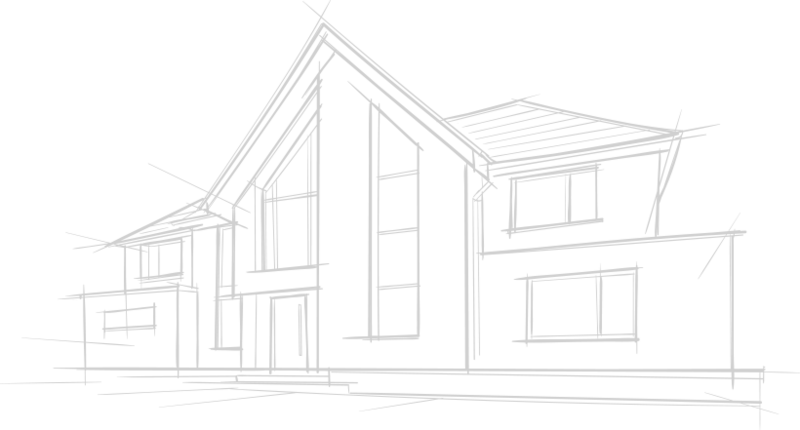 Sketch designing allows to consider in detail the future structure. Our architects create sketches of houses that accurately show every detail of the building. On the draft project, you will see how the house will look from all sides, outside and inside, the layout of the room and the architectural style. Also, the image in the section reveals all the pitfalls of construction, for example, it is possible to place utilities more conveniently and conveniently than previously thought. The next stage of construction is working design. It is these documents that are becoming a position for construction. With the help of a working project, the exact number of necessary materials is calculated, so the client knows in advance the cost of construction. This allows us to find effective ways to save money even before the construction starts, while preserving the comfort and quality of the structure.